Baskerville Ultra is the ultimate muzzle. 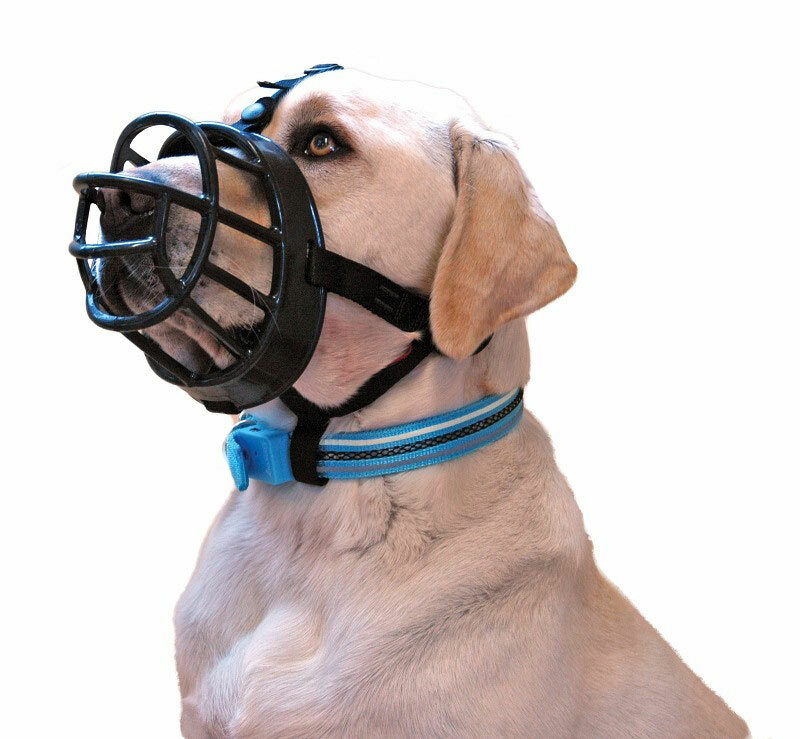 Every aspect of the muzzle's design has been created to combine maximum safety with comfort for the dog. The material is extremely tough and durable yet soft to touch. The loop at the bottom attaches to your dog's collar and an optional overhead safety strap ensures your dog can not get the muzzle off. 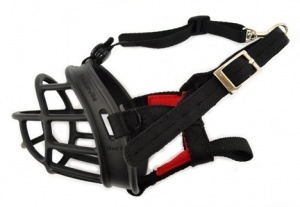 The Ultra Muzzle also has a secure metal buckle with pre-holed webbing to ensure it is quick and easy to fit. Neoprene padding ensures it is snug and comfortable. The dog can pant, drink and even be fed through this revolutionary muzzle.